Workers at the Trican field. A prolonged recession took its toll on the oilpatch for the past two years as thousands of people were laid off by the vicious downturn. Now, in a bizarre twist of fate, companies have been experiencing a difficult time finding workers with drilling activity on the upswing. With about 90 per cent of the membership operating in Western Canada (from southern Manitoba to northern British Columbia), the association’s membership includes 40 land-base drilling contractors, 80 service rig contractors and two off-shore drilling rig contractors. 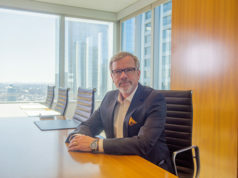 Mark Salkeld, president and chief executive of the Petroleum Services Association of Canada – with a member base of 175 companies – says the industry lost more than 100,000 workers over the past two years. “We’ve been experiencing a downturn on the oilfield services side of things since early spring 2014 when drilling programs were cut and people and equipment were sent home,” says Salkeld. “We don’t make money when we’re not working not like producers who still have revenue streams from their production. When they shut us down, we stop making money so we have to act fairly quickly. One of the most unfortunate things that happens is layoffs. The first quarter was busy for the industry as a few thousand people were hired back but Salkeld said it is difficult to determine what to expect for the rest of the year. There is cautious optimism though. And there are concerns about future hiring. “A lot of people have been gone for two-and-a-half years so they’ve found jobs in other industries. They’re not coming back,” he says. In its most recent 2017 Canadian Drilling Activity Forecast, PSAC reports the number of wells drilled would be 5,150, representing an increase of 975 wells, or 23 per cent. In December, the Oil Sands Labour Demand Outlook to 2020 Update report, released by PetroLMI, a Division of Enform, predicted a “modest” recovery of about 3,400 net jobs over the next four years as companies shift their spending from expansion to maintenance, repair and optimization of their operations. Employment is forecast to grow by about six per cent from an estimated 63,800 in 2016 to 67,200 in 2020. Jobs in on-site construction and module fabrication will decline by 6,500 but will be offset by an increased requirement for 9,900 workers to support ongoing operations, maintenance and turnaround activities, said the report. With current oilsands construction projects nearing completion and no new major projects on the horizon, demand is expected to increase for jobs such as heavy equipment operators and welders, while occupations more closely connected to growth-related capital spending such as some engineering roles, geoscientists, construction managers and estimators, are expected to experience below-average growth. Last fall CAODC’s 2017 Drilling Forecast projected 4,665 wells —an increase of 1,103 from 2016 (3,562). 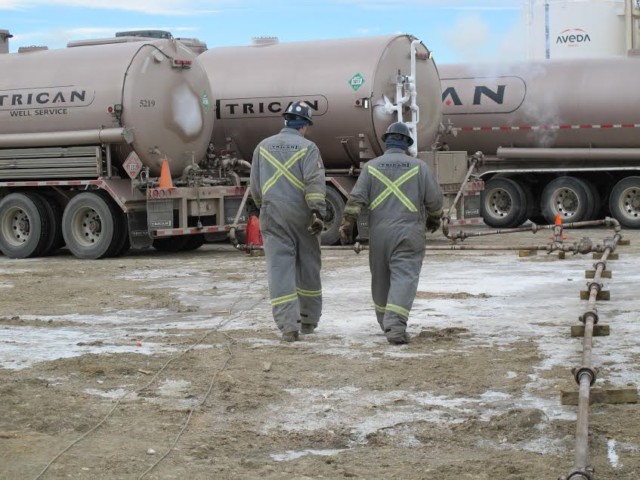 Rob Cox, vice-president Canadian region for Trican Well Service, says the company had about 1,200 employees in the early part of the year from Fort St. John to Estevan with 14 operating bases in between. In Canada, the company employed about 2,400 people at the peak in 2014, dropped to 950 in the spring of 2016 and started to add people last September. Trican has resorted to recruiting a little differently. It is going beyond newspaper and radio advertising by making more use of social media and career fairs. The difficulty in hiring does not come as a surprise to Todd Hirsch, chief economist with ATB Financial. ‘‘A lot of those workers were what we call inter-provincial so they’re from the East Coast often and they were up working in Fort Mac or Peace River somewhere and now they’ve gone home. 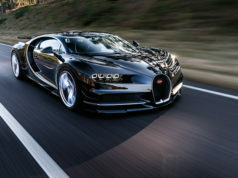 They’re probably not as easy to attract back just on a turn of a dime,’’ says Hirsch. Carol Howes, vice-president of communications with Enform and PetroLMI, says there was an expectation as long ago as last spring that difficulties in hiring would start to happen once activity picked up. ‘‘A lot of the workers have left the industry and have gone on to do other things. That’s particularly true of the service sector where a lot of the workers can go and find other trades jobs or move elsewhere. A lot have gone back East. After two years of a downturn, they’ve looked for other opportunities because they needed to do so,’’ says Howes.